Chibi Knight – Kongregate RPG puts players in control of a miniature warrior adventuring through the lands of a very cute and cuddly kingdom. Monsters abound across the land as three massive beasts have stolen magical items and claimed parts of the world for their own. Our little hero, who hails by the name of "Chibi Knight", ventures forth to slay the beasts and reclaim the beleaguered kingdom. Older gamers may recognize the gameplay, based on "The Legend of Zelda II: The Adventure of Link" for the Nintendo Entertainment System, while new players are likely to enjoy the game’s whimsical world. 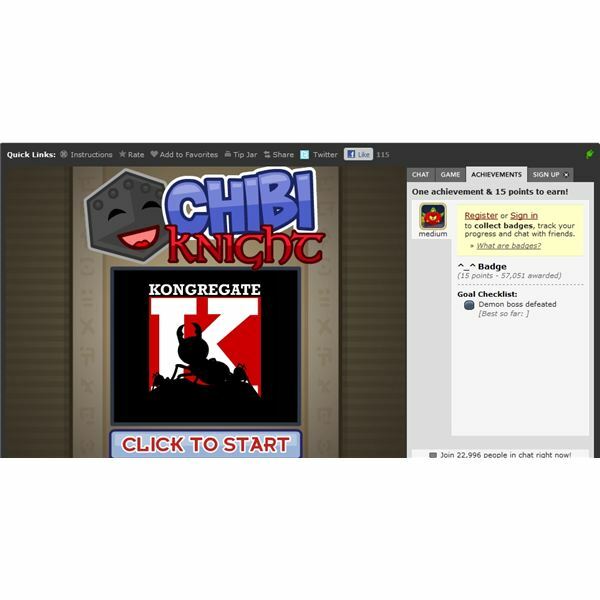 "The Adventure of Link" is a sword-swinging adventure roleplaying game classic and Chibi Knight – Kongregate RPG pays homage to this style throughout the game. 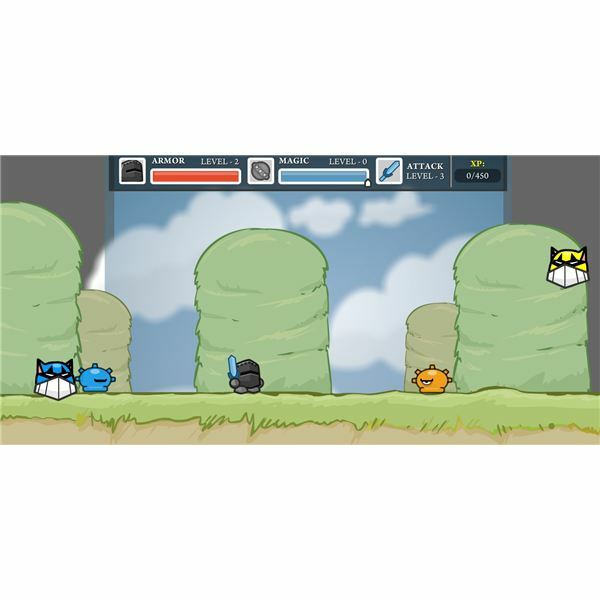 Players jump and slash using the arrow keys and A button as they hack through a variety of different creatures. Magical spells are available from wise men hidden throughout the game and are accessed through a menu interface. These simple controls complement the other elements of the game nicely and allow players to focus on the action at hand. The boss monsters all follow simple patterns and are easily overcome once Chibi Knight has levelled his attack, magic and armor. 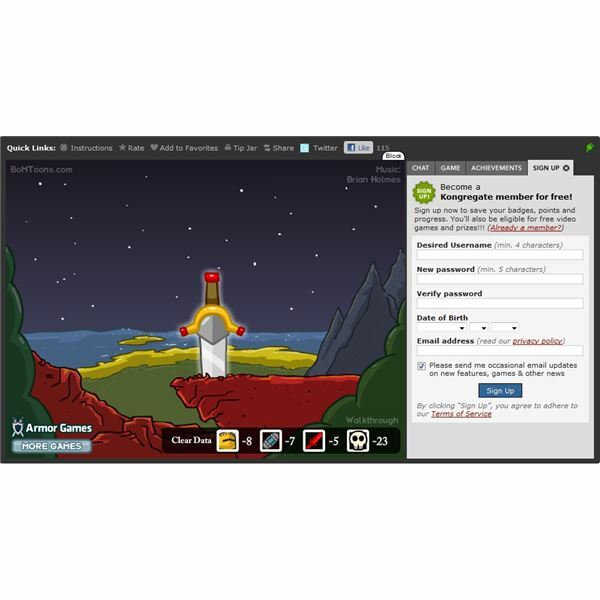 Kongregate has hidden badges throughout the game, from hidden tasks to obvious rewards from storyline encounters, and these are a joy to discover for veteran players on the gaming network. Chibi Knight – Kongregate RPG offers very simple 8-bit style background music that ranges from adventuring songs to powerful battle ballads. The game’s sound effects, however, shine all on their own. The armored hero charges into battle with a "Hi-yah, hoo, ho!" battle cry that is part of some of the cutest and most endearing audio in the game. Likewise, enemies are dispatched to the young knight’s cheering cries of "Boo-yah!" and "Awesome!" It’s hard not to feel sorry for the little knight whenever he takes damage. Monsters don’t possess their own sounds, however, and the sounds of explosions and swordplay are weak in comparison to the stronger elements. The game’s graphics are overly simplistic, however, and do little to enhance the effect of the title. They are uniformly cute and whimsical, but fall flat due to limited animation. Only a few different models exist in Chibi Knight – Kongregate RPG, and monsters are often different colored versions of previous beasts. The boss monsters are a notable exception, as they are every bit as cute and true to the world as the sound. The game’s story also falls on the simple side. Players are directed to kill three monsters from the very outset and the entire title should take a veteran action RPG player around half an hour to complete. New players to the genre may take longer, but the game has very little replay value. 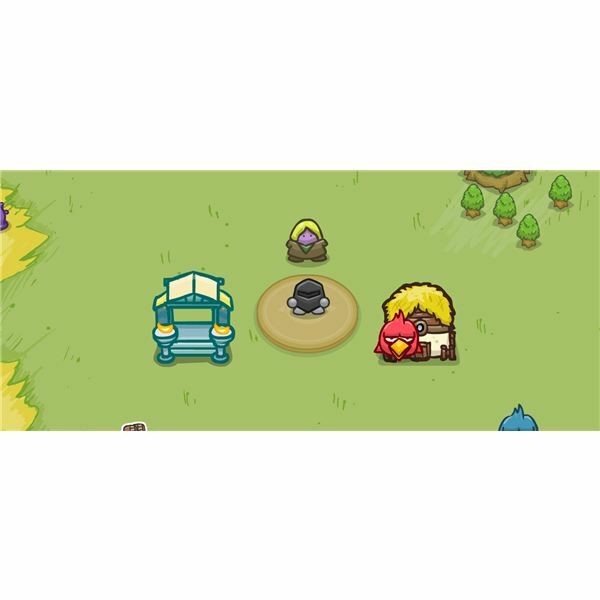 Chibi Knight – Kongregate RPG shows a lot of promise and would be an excellent title if it were a bit longer with additional monsters and graphics. As it stands, the title is short and the storyline only gives cursory nods to the games that went before. The game’s lack of replay value and the ease of gaining badges keep it an average title with some above average elements. The easter eggs, including the name of the Blacksmith, serve to create some hilarious moments and bring back fond memories for many older gamers. Everyone should give the game a once-through, though your finger may hurt after pressing the A-button to swing that cute little sword so many times.